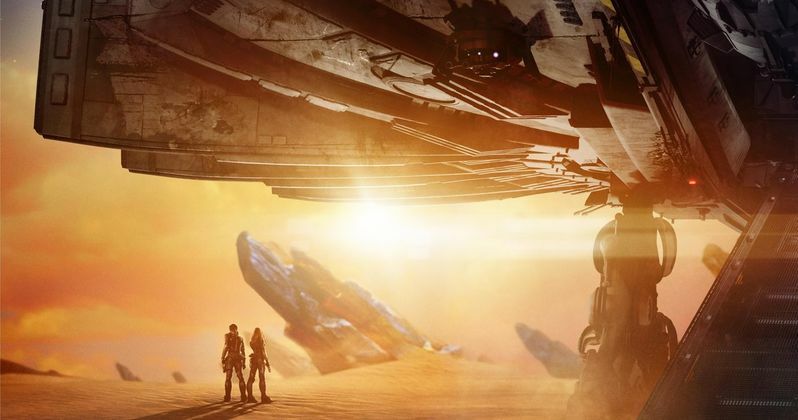 EuropaCorp has released new images and a Brand new Poster for Valerian and the City of a Thousand Planets in anticipation of New York Comic Con! Fans in attendance of NYCC can check out a fun and immersive booth for the film and comics on the convention floor from 10am to 7pm. They will have the chance to receive an autograph from director Luc Besson and illustrator/co-creator of the graphic novel Jean-Claude Mézières on Thursday, October 6, from 11am-12pm and then 2pm-3pm! All located at the North Concourse, Booth NC8. Related: Will Nolan's Dunkirk Be a Hit or Miss at the Box Office? Valerian and the City of a Thousand Planets, the highly-anticipated space adventure based on the acclaimed French comic book series from EuropaCorp, will give New York Comic-Con fans a sneak peek this weekend at an exciting, interactive booth just inside the doors of the Javits Center's North Concourse. Attendees on Thursday, October 6 will have the rare opportunity to meet and procure an autograph from renowned filmmaker Luc Besson (The Fifth Element, Lucy, The Professional), the director/writer of Valerian and the City of a Thousand Planets, and award-winning illustrator Jean-Claude Mézières, the co-creator of the graphic novel upon which the film is based. Besson and Mézières will sign limited edition, numbered Valerian mini-posters Thursday at 11:00am and 2:00pm. Exclusive tickets for the two signings will be distributed Thursday at 10:30am at the Valerian booth. The booth will feature a fascinating array of early video footage displays, still images and one-of-a-kind props from Valerian and the City of a Thousand Planets; an interactive photo booth; and a comic book store displaying multiple issues of the beloved French comic. The Valerian booth will be open during Con hours throughout the four-day weekend.